You may not have loads of cash to spend on marketing in the early stages of your startup in Cameroon, but that doesn’t mean that there aren’t effective ways to get your brand out there. has a similar service that’s easy to sign up for. 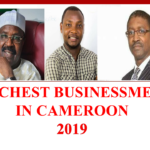 Social media isn’t just a tool to gain exposure online in Cameroon—it has now become a necessary time investment for every business to make. You can tie in ads and offers on your Facebook page and have a direct channel with your customers on Twitter. Networking on LinkedIn—both at the personal and company level—can be another way to help your startup. It’s easy and free to set up fan pages for your business online in Cameroon on Facebook and other platforms like Youtube, Instagram, Linkedin and Twitter. You may consider doing Facebook Ads for rapid growth if you are an internet marketing expert. It’s always safe to learn how Facebook or Google Ads function before putting in cash or you can rather hire someone who knows better to do it for you. Fan Page Robot is the social media dashboard that many successful marketing firms use to manage and grow fanpages for their clients. This tool is highly recommended by top marketing brands including Netkipedia.com. Hence, if you want to quickly promote your business online in Cameroon, Fan Page Robot is there for you. Click here to access it. A blog not only helps your company get its name out through followers but is a way to connect with your consumers more directly. But remember that one of the major keys of blogging is to keep your stream updated as frequently as you can. A dormant, abandoned blog is worth nothing. You may think setting up a blog costs tons of cash. Of course, NO though it used to. I remember in 2014 when I first thought of starting a blog in Cameroon, I met with cut-throat prices at MTN and Orange ranging from 250,000 FCFA a year for just hosting. But today, you can set up a blog with as low as 60,000 FCFA a year through Netkipedia. You may as well choose to go for something bigger than a simple blog depending on your business and goals and budget. You could set up a business website, an eCommerce website, or any of these. You can contact Netkipedia for free consulting, they will help you figure out exactly what you need to promote your business online in Cameroon. 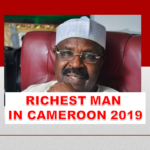 Another great way to promote your business to the right audience is to contact influential bloggers in Cameroon and pay them a monthly fee to place ads on their blog. At moneymastertutorials.com, the rates are quite affordable and the results are guaranteed. 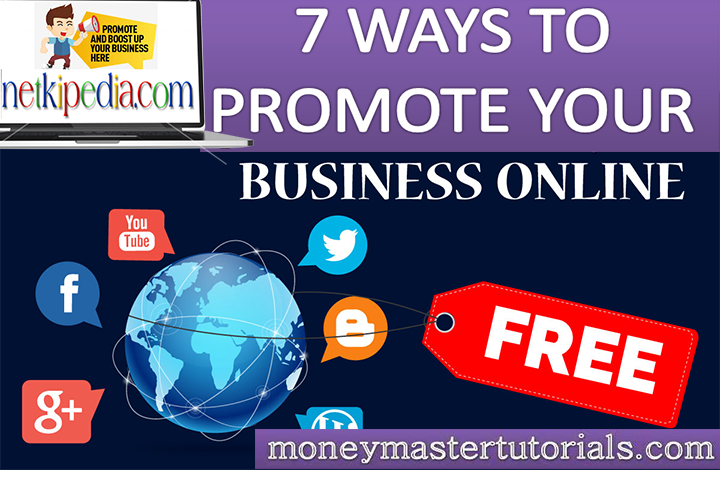 The fourth best way to promote your business online in Cameroon id through YouTube and Flickr. YouTube provides a free way to distribute creative promotional videos, but in order to succeed you must put up content that people want to view and are relevant to your business—a simple Ad will not work. A Flickr profile can also help by giving you one place to compile all the photos for your business and allows you to link back to your website. Well, you may start thinking you need to invest in video shooting and editing equipment and so forth. Capital NO. You can start by recording basic videos even with your smartphone but let it be clear and interesting. You don’t want to bore your viewers. Share things that will truly help your audience and through this, you can drive traffic to your blog or sell your products/services directly through your channel. 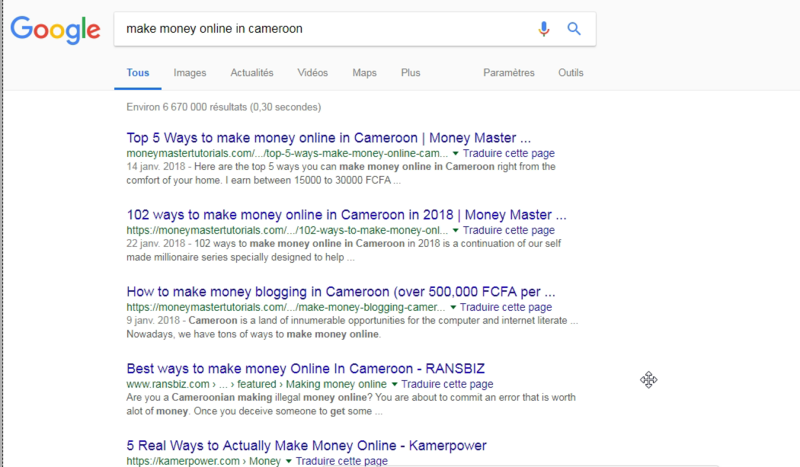 A shorter cut to promote your business online in Cameroon through will be to contact influential YouTubers based in Cameroon, especially those in your niche and ask them to advertise your business in their videos. Now, it could be difficult to find them or seal a profitable deal with them. I advise you contact me to help you get the right influencers. 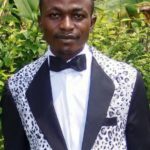 Being the king of the Make Money Online in Cameroon niche and a YouTuber myself, I have developed quality relationships with most influencers in and out of Cameroon and can likely help you out in this. Search engine optimization cannot be underestimated in the world of constant Googling. Pick up a book or head over to an online how-to-guide on SEO and make sure your site is primed for performance on search engines. Optimizing your site for search engines is crucial. This is what is literarily known as setting up an autopilot system. 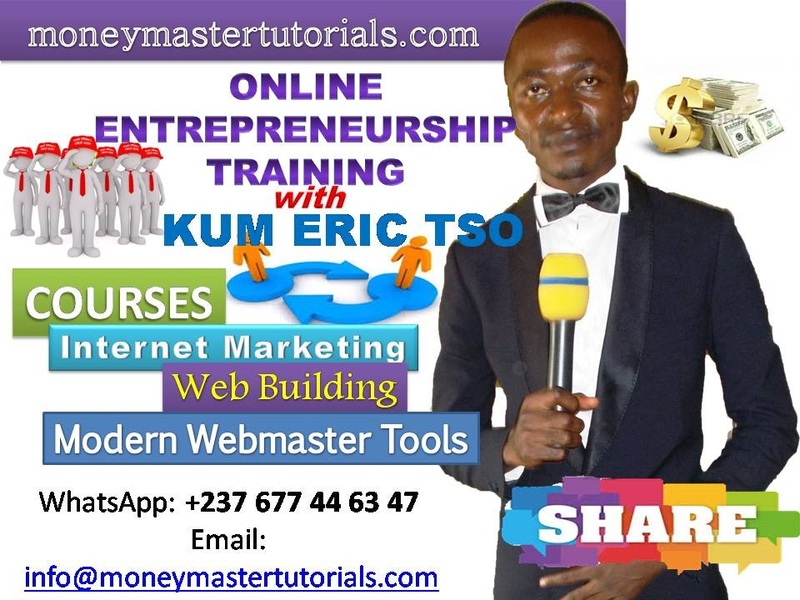 Today, I can boastfully say I am the king in my niche: Making Money Online in Cameroon. Not only do I rank Number 1 for this niche but 2 and even 3. Just imagine your business outranking your competitors in search engines in this way. That will definitely mean a lot of cash for you. I joined Quora some time ago and started participating actively by answering questions related to my blog or business. I often leave a nice learn more link to my blog and this is driving crazy traffic to my blog for free. Just make sure you are actively participating and adding value to the users of such platforms. You will establish brand authority and grow your business’ influence over time. For more details on the training, contact us via WhatsApp through +237 677 44 63 47. You could equally consider hiring an expert to help you out to create, optimize and grow your entire online presence. This is exactly what United Marine Services Ltd, a deep-sea diving company based in Cameroon does. 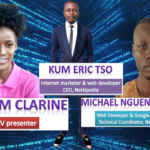 They outsource everything including web hosting, content creation, marketing, etc to Netkipedia a Cameroonian based international brand designed to provide web solutions to small businesses. The company helps you in web hosting, web development, digital marketing, etc. So if you are looking forward to growing your business online in Cameroon on autopilot, think Netkipedia. They have helped many Cameroonians set up online businesses in Cameroon like Munang.net, quinesblog, Cameroon OutLook and many others. For free consulting, send an email to info@netkipedia.com.